Bulgaria's former energy minister has slammed as "political repression" the prime minister's plan to submit to prosecutors the contracts that the previous Socialist government signed with energy giant Gazprom for the supplies of Russian natural gas. “The contracts build up Bulgaria's policy, they build up the country's new geo-political image. Prime Minsiter Boyko Borisov is making an attempt to sway the prosecutors and this is weird, to put it mildly,” Rumen Ovcharov told the morning broadcast of the private TV channel bTV on Friday. “The decision for signing these contracts was approved by the whole government and that's why they represent a political decision, not a shady deal,” Ovcharov argued on Friday. “I would never apologize for signing these contracts because otherwise the natural gas price would have been up by 30%,” he added. The statement comes a day after Prime Minister Borisov warned that Bulgaria’s Prosecutor’s Office is going to investigate the contracts that the Stanishev government made with energy giant Gazprom for the supplies of Russian natural gas. Borisov’s announcement was made on the day when Bulgaria’s natural gas prices were increased by a staggering 25%. 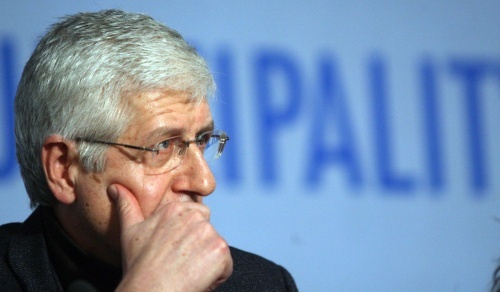 GERB’s Economy Minister Traicho Traikov has blamed the hike on “unfavorable” deal made in 2006 between the former government of PM Sergey Stanishev and Gazprom. Ovcharov, who was part of the Stanishev cabinet in 2005-2007, recalled on Friday his sarcastic suggestion that the current prime minister start another special police operation, code named “The Babblers” with Episode 2 “Muting”. “This time Borisov broke all rules and dares to try to influence the prosecutors. This is much more than a repression, but I hope that the prosecutors will do their job,” Ovcharov stressed.